"A person's heart's warmth. The very spirit that keeps them alive and strong, especially in cursed frozen tundra. Some say you can sell it to gain power, while others believe it is it's own power. Either way, it did not change the fact that Ágirni sold her heart's warmth to a demon for the use of magick." 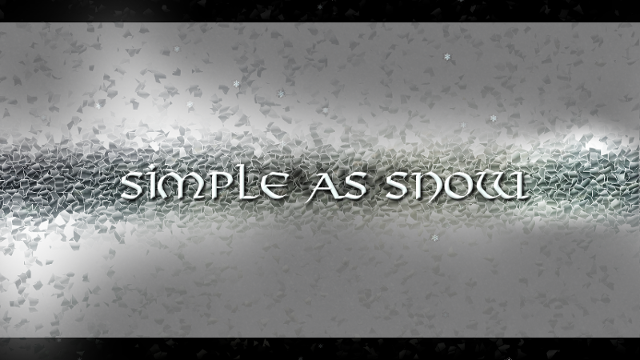 Simple as Snow is a kinetic visual novel about a caster named Lysa who is caught up in the middle of a sorceress scheme to steal the heart of a young king. If only it were about love and not the sorceress' sick plot to literally take his heart. 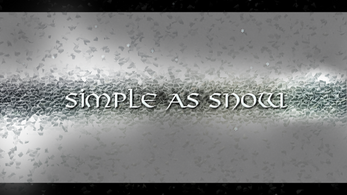 Simple as Snow is a kinetic novel, meaning it's strongly story based. All the backgrounds in the game were beautifully hand painted. This novella is over 14,000 words and has about an hour of game play. There are choices that give insight to the story if you choose to take the time to read them. Originally made for NaNoReno in 2016 with a team of one. Working on this made me want to continue the story and though it might not be everything I wished for. I am happy. Please be aware there is some mild bloodshed and gore and thank you for taking the time to read this. This was an interesting journey and I hope that you enjoy the game. Ágirni A legend. She sold her heart's warmth to a demon for the use of magick. The sorceress ever tormented by the loss of her heart's warmth, she's sought others' to replace hers countless times. 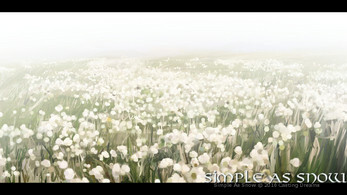 The lowly stable hand, a set of twins lost in her forest, and even noblemen who've wandered too far from their estate. It did not matter who, even a wolf from time to time when she was desperate. The old wraith ever hungry to warm her frozen heart. 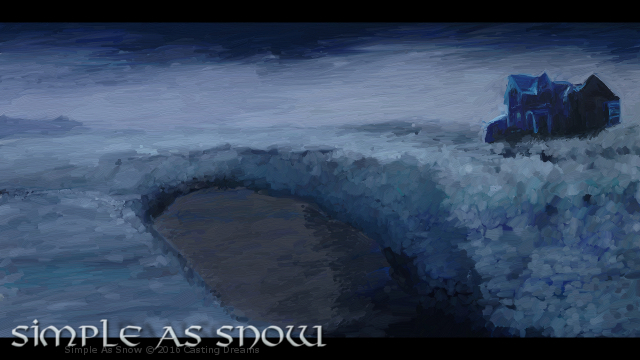 Lysa She has known her fair share of hardships growing up in a cursed frozen tundra. Living above the northern border where Aginiri's spell backfired all those years ago, Lysa's never known a spring nor seen a flower blossom. Vital to her community she wasn't permitted to leave the north because she was born infused with mana that allowed her a rare ability to create warmth. She has lost loved ones to the cold and been abused for her ability to produce heat. When she interferes with a sorceress' plan to steal the heart of a young king she's finds herself not only trying to save the king's life, but the lives of her sister's as well. The King Taught to be strong from a young age and with a good heart, he was a prince until recently when his father was murdered by a sorceress in front of the court. He and his two sentinels have been fleeing ever since seeking refuge from the sorceress who plans to steal his heart. Eyrir born three daughters with his wife before her death. He has always been soft on his daughters though is a firm and fair leader. Lysa he worries about a little more, because of her abilities as a caster. He worries because he sees his wife in her; headstrong and always wandering. He hopes that if she settles down soon she won't wish to leave them. Partly because of her being his, but also because her abilities allow their community to stay here. 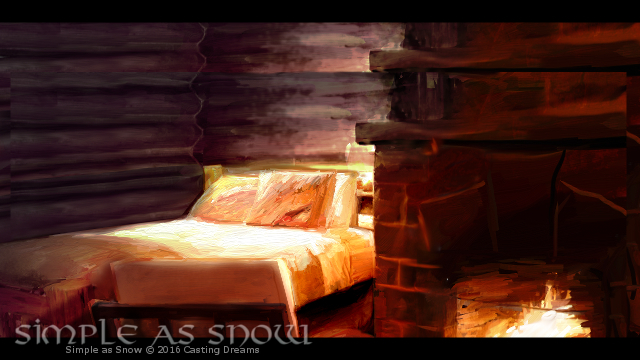 Jaeson came to the fort when Lysa's powers first started to develop. He's always been a stern teacher with her. If they're not defending the town, Lysa and Jaeson will often sprout arguments within minutes of being around one another. Jaeson disagrees with how she pushes herself. He's lived with them for years and in that time he hasn't appeared to age. It must be the caster in him. Una is Lysa's older sister and since their mother's passing has acted more like a second mother to Lysa and their youngest sister Agnan. She's very well loved by those around her. She was recently married and is on her honeymoon. Angan is the youngest sister of Lysa and Una. Immature and young she has anxiety issues about losing her family. She's the trouble maker and often speaks her mind. She likes to be babied and doesn't really get along with those her age. Bjorn a large hound of Lysa she's had since he was a puppy. The small dog quickly grew into a large beast that can scar any seasoned knight. Though he's hard to handle by others, he's a big puppy dog when it comes to his Lysa. Version 1.5 minor bug fixes from 1.0. No major changes. The same save directory is used so saves will carry over. This is marked as accessible to the blind but my screen reader can't pick up any of the opening text? Is there a reader it was designed to work with? Are you enabling the in-game reader? If you press "V" you will toggle the self-voicing that will read the text for you. I do apologize the "Controls" screen that shows up when you first open it doesn't say what it is. I'll see about getting an updated version for it. Though, everything else should be fine. I hope this works for you. Let me know otherwise and I'll look into it. Thanks for the feedback. As not a game, but purely a visual novel, I think this was perfect. There were some minor spelling and grammatical mistakes, but other than that, Simple as Snow is very good and unique. 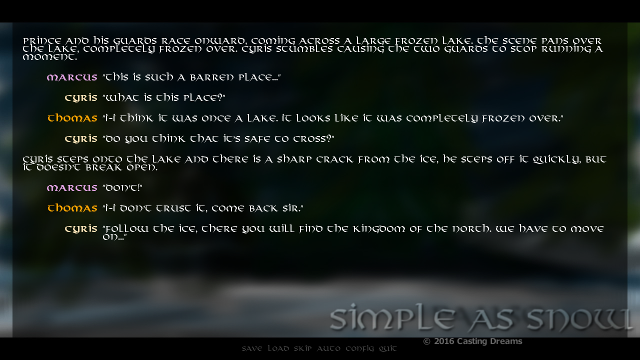 If you ever decide to make an upgraded version of Simple as Snow or make a sequel for it, I'd suggest giving the player/reader some more details on the connection between the main characters(Lysa and Cyris). I think the foundation of this VN is pretty good and I think it'll be really interesting if you upgrade this into a "choose your own story" kinetic visual novel. Thank you for the feedback. :) I'm glad you commented. I think that there's more to the story that can be developed and more to learn about these characters. There's nothing planned for a sequel, however I have thought about it. We'll see. Thanks for giving it a shot.